Less than two weeks ago, Audi unveiled what is probably one of the most beautiful cars to ever see the light of day. If that seems like an exaggeration, take a look at the pictures of the brand new generation of the Audi A7 Sportback. The first-generation Audi A7 was already a looker, but this new generation is even more impressive, and both potential customers and the media noticed it immediately. 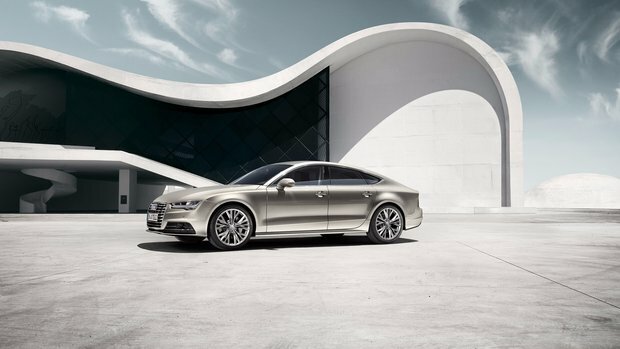 The all-new Audi A7 Sportback is a lot more than just a pretty design. Its general shape takes the classic and refined lines of the current A7, but then adds a little flair, a little muscle and a little more luxury in order to create a striking design that ultimately takes the best parts of the previous A7 and improves them. The A7 will still be immediately recognizable, but more importantly it will be possible to notice the new generation at first glance. In other words, you’ll know it’s an A7, but you’ll also know it’s a brand new A7. In terms of its dimensions, the 2019 Audi A7’s wheelbase is longer by 12 mm compared to the current model, but overall length is slightly shorter. The wheels have therefore been pushed to the corners in order to improve stability and also to give the vehicle a more aggressive design. Inside, the new A7 get’s Audi’s 12.3-inch virtual cockpit while the multimedia system is taken right out of the brand new 2019 Audi A8 and therefore features two touchscreens positioned one on top of the other. And, again like the A8, the A7 will feature a range of semi-autonomous driving technologies. The 2019 Audi A7 will be powered by a turbocharged 3.0-liter V6 engine that delivers 340 horsepower and 369 pound-feet of torque. This engine is combined with a seven-speed automatic transmission that is paired with Audi’s latest-generation Audi Quattro Ultra system. According to Audi, this turbocharged V6 will let the A7 get to 100 km/h in just 5.3 seconds. We expect that eventually a four-cylinder engine option will be offered while other six-cylinder engines will also join the lineup. Moreover, each A7 has a light hybrid system that according to Audi helps lower overall fuel economy by about 0.7 liters per 100 kilometers. As we wait for the brand new 2019 Audi A7, come check out the brand new 2017 Audi A7 today at Glenmore Audi!